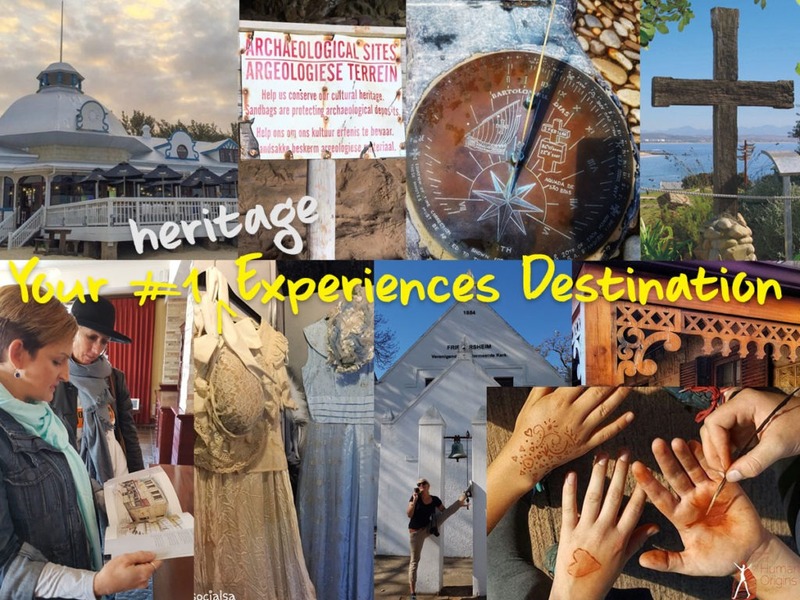 Welcome to Mossel Bay – cultural heart of the Garden Route. It’s where European explorers first met the Cape’s indigenous Khoi-San people. It’s a polyglot of customs – Xhosa, Dutch, English, Afrikaans and Portuguese. And it’s where cutting edge technology meets a history more than 80,000 years in the making. 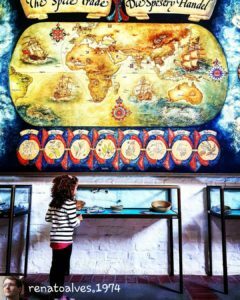 Mossel Bay’s many museums and galleries may be repositories of more than 500 years of history – but its caves and middens hold evidence of a folk already ancient when Europe was young. And its communities are ready to share their traditions – and their hospitality – just with you. 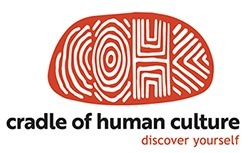 While your experience with them involves a visit to a world renowned Middle Stone Age archaeological cave site, their main goals are to create awareness of the original human design, to awaken the human spirit, and to inspire people to change the way they behave towards all life on our planet. Their guides aim to reconnect people with nature, each other and themselves through our shared cultural and natural heritage. Ultimately, their intention is to create a research center with the purpose of transforming human behavior from its current dysfunctional state into one that serves the environment and all life in it. 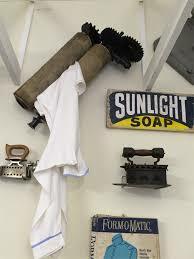 This museum, in Hartenbos, displays more than 640 laundry irons, mostly rare and some unique. There are also more than 50 rare washing machines and mangles dating back to the 1800`s – some claimed to be the only remaining examples in the world. 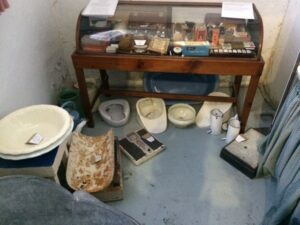 An excellent collection and well worth a visit. A local architect of the town traveled to the Royal Pavilion in Brighton to get ideas for a Pavilion in Mossel Bay and it was then built in l9l6 by WJR Swart, strangely enough these are the last two remaining beach pavilions in use from colonial times. During the 1920s and 1930s the Pavilion was a social meeting place for the local community who regularly gathered there to listen to the bands playing and to socialise. The Pavilion hosted the then Prince of Wales, Prince Edward, while on his visit to South Africa in 1925. 54 years later the roof and woodwork were destroyed in a fire during 1979 and the property was due to be demolished. A private company took the building over and restored it to its former glory before being granted a long lease of 30 years on the building in 1986. 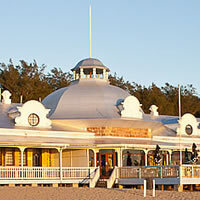 Today it is home to the restaurant, Jackal on the Beach. 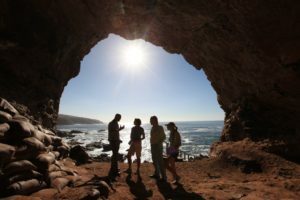 Exploring Mossel Bay on foot is the very best way to see all its treasures. Get a map from the Tourism office or download it here. The ATKV-Hartenbos Museum of the Great Trek documents the Voortrekkers – the Boers (Dutch farmers) who famously moved en-masse from the Cape in 1838 in search of land away from the stranglehold of Colonial rule. The Voortrekkers took everything they had, including cattle, oxen, furniture and horses – and moved over mountains and over rivers to new places of settlement. • The Voortrekkers’ Freedom struggle. 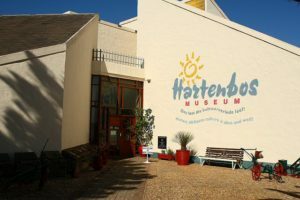 The museum also documents the history of Hartenbos. 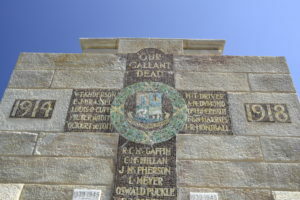 The Mossel Bay War Memorial is situated alongside the Point Hotel. The idea for the monument was spearheaded by the Moth Shellhole Veteran Organisation to commemorate all those from Mossel Bay who laid down their lives defending their Country in the 1st and 2nd World War, the Korean War and all the soldiers who guarded our borders. The names of these soldiers have been set over a map of Africa, upon which a line has been drawn in crimson mosaic, marking the places of birth and death of those whom the memorial commemorates. This museum and information office is housed in the “The Old School House” built with sun baked bricks in 1902 and celebrates the history of the Village of Great Brak River. Established in 1859, with particular emphasis on a collection of exhibits of shoe and shoe manufacture, household and military, and depicting the lives and times of the original founding families which include Searle, Ferreira, Botha, van Rensburg and many of the original Coloured families and their descendants. Elementary Photography was introduced in 1839 and Great Brak had the good fortune to have been photographed from its inception. Their large collection of photographs tells the story and development of the village up until today including the many devastating fires and floods. They also have a small collection of San and Khoe artefacts many of which predate the village founding. 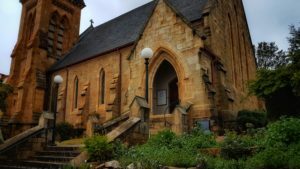 Mossel Bay has many faces, some we do not often see but is worth exploring. Our local community is a vibrant place where one can find many gems, personalities and bucket list experiences.